Journalist Sener Levent and university professor Niyazi Kizilyurek are putting themselves up as candidates for the European Parliament (EP) elections. The elections begin on Thursday 23 May and end on Sunday 26 May. Levent has reportedly stated that he would participate in the EP elections with the Jasmine Movement [The Jasmine Revolution expresses resistance to nationalist politics tha link a Turkish-Cypriot future closely to the economic and political fate of “motherland” Turkey] and that Maronites and Armenians would also run for the elections with the same Movement. Levent argues that the EU’s relations with the Turkish Cypriot community are not as they should be and that if a Turkish Cypriot is elected to the EP, these relations would be strengthened. He also said that the people who represented the Turkish Cypriots every year at the EP as observers, expressed Turkey’s official views and that all these factors should be changed. 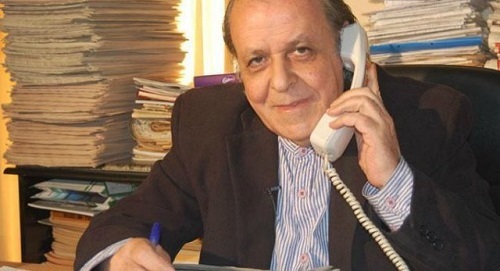 The second Turkish Cypriot candidate Professor Niyazi Kizilyurek told ‘Yeni Duzen’ that he might issue a statement on the matter within the coming days and that “serious proposals” had been made to him from both sides of the island. He said that the EP elections were very important as regards the current conditions in Cyprus and the Cyprus problem. Erdogan Sorakin, general secretary of the Republican Turkish Party (CTP), said that they had no intention of participating in the EP elections and did not think that it was right to do so as currently Cyprus remained divided and no solution had been found, as yet. This is despite the fact that they believed that is was important for the Turkish Cypriots to be represented importance at the EP and that this representation should be on the basis of political equality. He noted that the final decision would be taken by the CTP’s organs and that the basic target was a future based on an acceptable federal solution and political equality. He added that only in such circumstances would the result of these elections be fairer for the Turkish Cypriots. Sorakin noted that it was the choice of Turkish Cypriots who are citizens of the Republic of Cyprus, to exercise their right to vote or to become candidates for these elections. Yenal Senin, general secretary of the People’s Party (HP), reminded that the HP’s chairman Kudret Ozersay was currently in New York and added that the party’s local congresses would be held at the end of January and the issue would be discussed then and in February. Afet Ozcafer, general secretary of the Democratic Party (DP), said that her party had not expressed any view on the EP elections until now and that they would discuss the issue in a meeting to be held within the forthcoming days. She argued that uncertainty existed and that all parties should act in a spirit of unity, adding that they would hold discussions with other parties on this issue. She also said that within the framework of human rights, the Turkish Cypriot citizens of the Republic of Cyprus would be able to individually exercise their right to vote. Halil Hizal, general secretary of the Social Democracy Party (TDP), claimed that there was no environment for the Turkish Cypriots to participate in the elections to be held in South Cyprus and that separate elections, under EU supervision, should be held in the TRNC for the election of two Turkish Cypriot representatives at the EP. He said that it was important for the Turkish Cypriots to decided on the candidates who would represent them in the EP and that the TDP had submitted to the EU Office its views on the issue in 2014 and 2016. He argued that the EU should help the Turkish Cypriots in exercising this right. Finally, the paper reports that according to Vaggelis Vasiliou, Public Relations Officer of EP Liaison Office in Cyprus, to date, 77,000 Turkish Cypriots were eligible to vote without having to apply for registration in the election lists. He said that 100 thousand Turkish Cypriots possessed Republic of Cyprus identity cards, but 23,000 stated that their address was in South Cyprus and therefore they needed to apply for being registered on the voting lists. The deadline for applying is 2 April, he noted.